Contact Andrew at Station Cottage on 01974 821692 or complete the enquiry form. Relax and unwind at Station Cottage in the lush Ceredigion countryside. 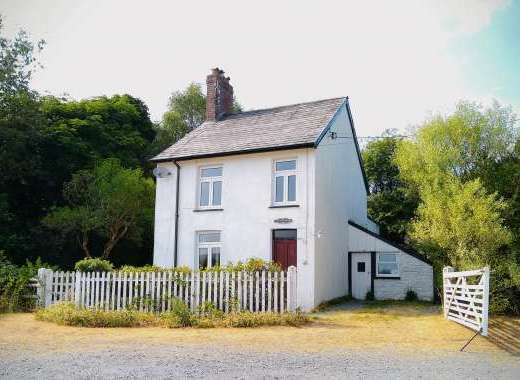 Sleeping up to 4 people, this 2 bedroom pet-friendly rural retreat is nestled next to the fields and countryside of the Cors Caron Nature Reserve, around mid-way between Cardigan Bay and the Cambrian Mountains. This welcoming holiday home is named after the Strata Florida station and railway line that used to run by the property until it was closed at the end of the 1960s. Steam trains no longer pass by but there are steam trains that can be seen at the Vale of Rheidol Railway at Devil's Bridge only around 10 miles from the cottage. The old train track that runs by Station Cottage is also now a cycle route (Ystwyth cycle trail) where you can enjoy traffic-free cycling. This beautifully presented property enjoys an ideal location for exploring some of the best of Ceredigion, enjoy a range of outdoor pursuits nearby, discover local attractions, head out for days by the seaside, or just relax at this tranquil country cottage and enjoy the views. 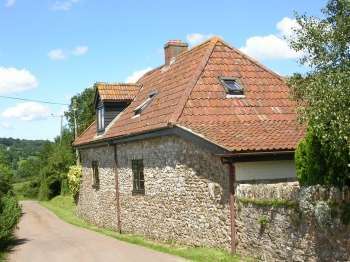 Fantastic countryside views are a feature of this lovely rural cottage. All of the accommodation is on the one floor and the property features a lounge with a woodburner to snuggle up in front of in the winter, a kitchen/diner with views out over the stunning Cambrian Mountains, two comfortable bedrooms (one double bedroom with a king size bed and a twin bedroom) and a family bathroom. Outside are lawned gardens to the front and rear of the property where you can truly soak up the peace and tranquillity at this fantastic location. The rear garden is a real treat with its stunning views over open countryside and out to the Cambrian Mountains. Dog-friendly (up to 2 dogs are welcome), the garden is fenced at the front and rear. Private parking is available for 3 cars. Free WiFi included. If you are looking for a larger / smaller self catering in the area why not take a look at our other cottages, Station House also sleeps 4 and is close by or a little further afield is Murmur Aeron which sleeps 6 (no pets), or Rhoslwyn which sleeps 3. Please visit http://murmuraeron.co.uk to find out more about the holiday cottage, amenities, surrounding area and places to visit in Ceredigion. Please note availability shown is for Station Cottage. Change over Station Cottage - Fridays. 20% Deposit required, full payment 6 weeks from start of holiday. Pets at Station Cottage - £3 per night max 2 dogs. Please see our website for full terms and conditions. Enclosed Garden: Garden to rear and front of cottage. Games Room: Games room with table tennis and table football. Local Sports: Walking, Cycling, fishing, horse riding, mountain biking.